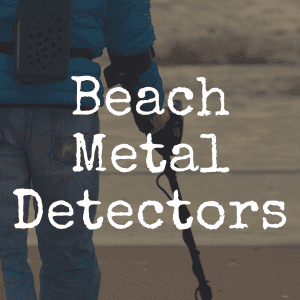 The Bounty Hunter Quick Silver metal detector is often thought of as a detector best suited for a beginner. It is truly a “turn on and go detector,” so it is very easy to use and also has a very reasonable price of around $75. However, there have been issues that have caused some experienced hunters to shy away from this machine. Therefore, in this review, we’re going to discuss the break down everything you need to know about the Quick Silver—from its feature set to what it’s most equipped to detect—and help you ultimately determine if this is a detector worth your money. Anyone who is new to hunting will appreciate the preset ground balance that Bounty Hunter installs in all metal detectors they build. This balance neutralizes any response the detector may get from the minerals in the ground. Without this, you may either get a lot of false positives or just “chatter” from your detector. It has an 8” coil that is waterproof, so you can use this around water. The shaft is also waterproof, but the metal detector is not submersible and you will need to choose another device if you want to dive and search. Waterproof coils are great, even you don’t plan to search near a beach as you never know when a sudden rain shower will come up as you are hunting. Be aware that the Quick Silver does not work well in or around salt water, however. Even with the preset ground balance, the highly mineralized soil may cause the machine to go crazy. The Quick Silver is definitely built for comfort, as it has a padded armrest and the height of the stem is adjustable, too. It is not the lightest weight detector you can buy, but it only weighs 2.8 pounds so it’s close. A stand also comes with purchase, for your convenience. If you are searching for coins, you can expect this detector to find them up to 8” deep. Using the target ID, you will easily know whether you want to dig up the object you found or not. For larger objects, the Quick Silver will search to a depth of 3’. The three tone audio feedback will let you know with both audio and visual what your object is. Most of the criticism of this metal detector surrounds the build of the machine. It is not as sturdy as many of the other detectors you can buy, such as the Garrett Ace 250. The Ace 250 is very robust and built to be used on rough terrain, while the Quick Silver might be better suited for backyard or playground scans. It is also not suited for use in areas where the grass or weeds are very high. It needs to be about a half inch above the ground to work effectively and the tangle of weeds prevents that. If you are thinking about purchasing the Quick Silver to help you find a property pin in a weedy area, you may be disappointed in the results. 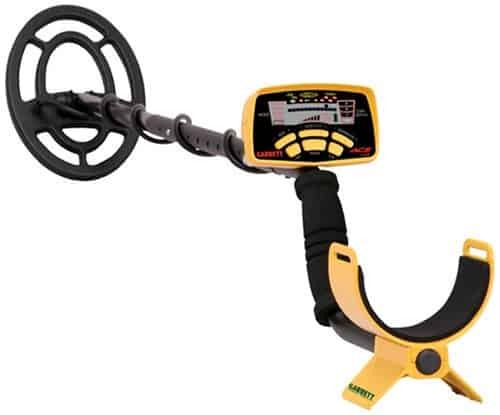 If you plan to use your metal detector to search for gas lines, sprinkler systems or property pins, the Bounty Hunter Tracker 4 might be the better choice for you. The Quick Silver does find coins easily and it offers a lot of excitement for newbies and children. You should be ready to dig up a lot of trash, such as pull tabs and nails, until you are accustomed to what each tone means. It does take a few tries to learn how to set your detector to do what you need it to do, so don’t be discouraged. When taking the time to compare the Quick Silver against the Ace 250, you will actually discover that the Garrett detector is arguably one of the best metal detectors under $300 that you can buy. 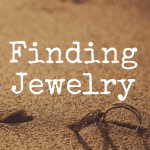 It is a little more expensive than the Quick Silver, but it is just as easy for beginners to use and offers features you will want as you learn more about treasure hunting. 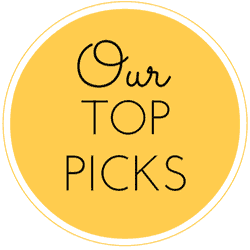 It has a huge LCD screen that is very easy to use and the company offers a large selection of training videos on their website so you are sure to find what you want to know. Now, the Ace 250 and the Quick Silver both have trouble with discrimination at times. Both machines may send a tone for a small piece of foil in certain soil conditions. Even the Bounty Hunter Tracker 4 has some issues with this. The machines may indicate a dime when it is really foil. This can be frustrating if it happens often. You will have to decide whether to dig and hope for an old dime or ignore the ding and hope you aren’t walking away from a really cool treasure. 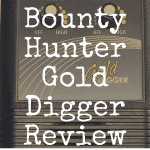 The Bounty Hunter Tracker 4 is another detector you might want to compare the Quick Silver to and see which has the options you really want. It has many of the same features and is closer to the price of the Quick Silver at $90. It has a much sturdier build than the Quick Silver, so if you plan to hunt in rugged areas, the Tracker 4 could be the better choice for you. It is as easy to use as the Quick Silver, but some may find the lack of volume control a little distracting. Using headphones with a volume funtion may help that issue. 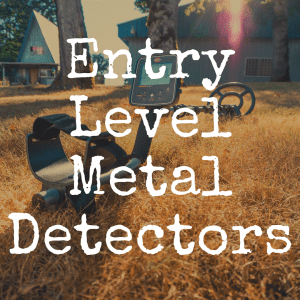 The Bounty Hunter Quick Silver is a good beginner’s metal detector, but you may find that you “outgrow” it quickly as it lacks some of the features that you may desire once you have more experience with hunting. Its pinpointing capabilities are adequate, but not as good as some of the other more expensive metal detectors. You may spend a lot of time digging a larger area before you uncover the object that was found. 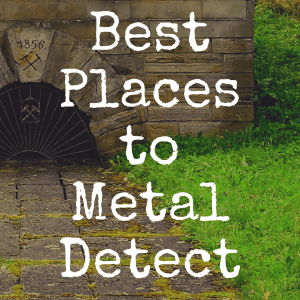 If metal detecting is something you really enjoy and you believe you will be doing it for years, you may want to choose a detector other than the Quick Silver. It has a great price, but for the best quality metal detector, you may want to consider the Garrett Ace 250 over the Quick Silver. The Ace 250 is one that you are unlikely to outgrow as you become more confident in your treasure hunting abilities. If you enjoyed this article, please “like” our Discover Detecting Facebook page! 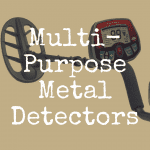 Visit our Discover Detecting homepage for more helpful reviews of metal detectors! What’s the Best Metal Detector Under $200?